The Cintec™ anchoring system is recognised by civil engineers throughout the world as a highly versatile method of structural reinforcement. Its unique design features allow for adaptations that meet the specific strengthening and repair requirements individual to each project. In recent years, extensive research and development has focused upon the contribution Cintec™ anchors can and do provide in the fields of Seismic Upgrading and seismic repair while still remaining sensitive to the original architecture. The Cintec™ reinforcement system comprises a steel bar enclosed in a mesh fabric sleeve into which a specially developed grout is injected under low pressure. The grout is a Portland cement based product, containing graded aggregates and other constituents which, when mixed with water, produce a pumpable cementitious grout that exhibits good strength without shrinkage. 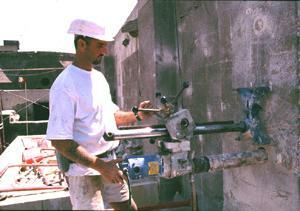 Installation is by precisely drilled holes using wet or dry diamond coring technology. The flexible sleeve of woven polyester restrains the grout flow and expands to up to twice its previous diameter moulding itself into the shapes and spaces within the walls, providing a strong mechanical bond along the entire length of the anchor without the need for unsightly patress plates on the exterior of the structure. The size and type of steel anchor, the strength of grout and the diameter of the hole can all be varied to provide the required design parameters and to provide good stiffness compatibility with the masonry. The bond strength between the grout and the masonry are usually derived from static pull out tests. Non percussive diamond drilling removes a core into which an anchor will be installed. Both on-site and laboratory testing provide shear and tensile loading capabilities. Booklets of data are available. We are frequently asked questions regarding seismic retrofitting of buildings where the Cintec™ anchoring systems are being considered. Such questions include advantages and disadvantages (vis-à-vis cost and structural concerns) of Cintec™’s technology versus other options such as base isolation. 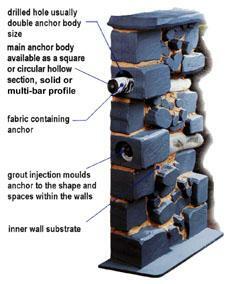 What do Cintec™’s anchors do that base isolation would not? Which is better for certain building types? Soil conditions? Preservationists in the US wonder what Cintec™ has observed in other countries, in terms of different philosophies and approaches to preservation. Preservationists in the US are concerned that the original fabric of the building be preserved. 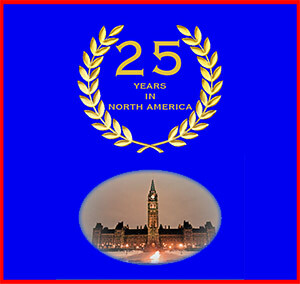 However many other countries do not place such a premium on maintaining the original materials. How does this affect the way Cintec™ approaches retrofits of historic buildings, which may be intrusive, even if not visible. Base isolation requires the installation of a discontinuity between the foundations and the superstructure of a building. For a traditional building this means introducing a layered material which has a low resistance to shear at the base of the full bearing perimeter of the structure. This is expensive. Vertical stiffness is generally required for gravity loads, seismic isolation is only appropriate for horizontal motions. Base isolation is normally appropriate to framed buildings. Cintec™ fire resistant anchors installed in traditional materials provide enhanced shear resistance to seismic forces. The anchors which induce low bond stresses in the masonry and yet because of their considerable length and perimeter can sustain very large forces without failure. The anchor installed in a masonry structure can improve (i) the integrity of the wall construction (ii) the wall to wall connection (iii) increase the out of plane bending strength of walls and (iv) improve the capacity of the wall/roof and wall/floor connection. The anchors may be installed vertically to assist in the resistance to vertical accelerations. The anchor body is generally of stainless steel with a high ductile capacity. The anchor is invisible when installed and is therefore particularly applicable to historic buildings. The number, size and dimensions of the anchor may be “tuned” to the requirements of the anticipated seismic forces and to the nature of the building. The installation of the Cintec™ fire resistant anchor increases the redundancy of a building and this means that the loss of a particular building element may not necessarily mean the total collapse of the building. There is no doubt that the installation of an appropriate pattern of anchors into a traditional building be it framed or cellular masonry will reduce the risk of loss of life. The extent of the damage to the building obviously depends on whether or not the seismic forces exceed the ultimate capacity of the anchors. 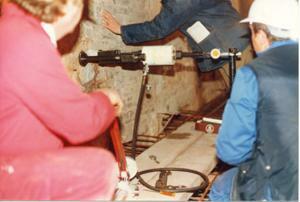 Statistically there is little recorded evidence of the behaviour of the Cintec™ anchor in an earthquake. The system is a relatively recent innovation and the benefits of the improved seismic resistance of the anchor are only now being appreciated. English Heritage are the conservation guardians in the United Kingdom and are recommending the use of the Cintec™ anchor widely. It has a particular merit in restraining fractured structures without re-building of the parts. It can be used in very delicate and distressed buildings to restore the structural integrity. It is one of the guiding principles of conservation, and the principles of the Venice Charter 1964 and the Burra Charter 1979 that the original fabric of the building should be preserved. This is why the Cintec™ anchor is so useful. The Cintec™ anchor may be used in a wide range of materials and the anchor body size and even material type can be adjusted and the diameter of the cored hole will be adjusted depending on whether the parent material is concrete, clay, terracotta, adobe or even timber. The costs will vary greatly for each application.